Bored in class? Enjoy apps like tindr and websites like Omegle that allow you to get over a quick social fix? 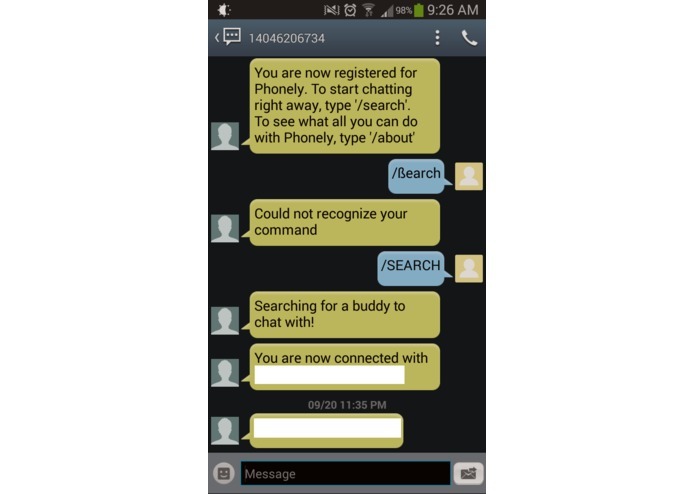 Phonely is a texting service that connects you anonymously to another person and allows you to converse until either of wish to terminate the conversation/find another. 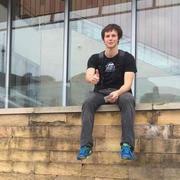 With the target audience of millenials: people easily bored at work, bored in class, those who just need a short distraction from the people they know, or people simply looking for a new friend (or more than friends), Phonely hopes to be a simple yet innovative approach to rapid fire social networks. 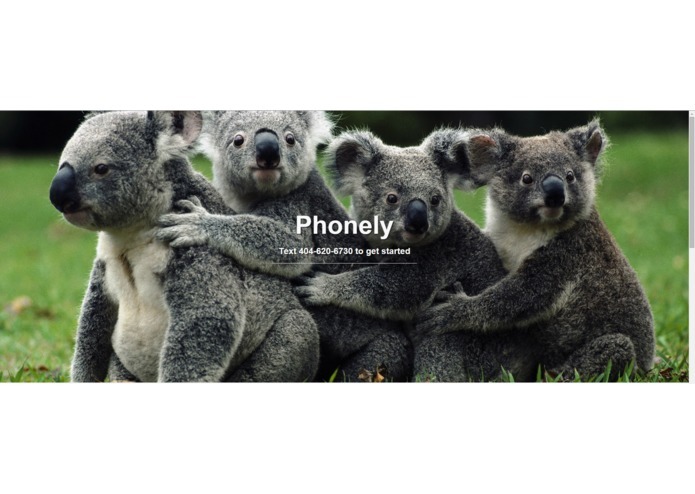 Phonely is sure to make a splash in the vast social network market with its current feature list and location based/common interest matching algorithms to be added soon(tm). Our back-end for the texting service is Microsoft C# and SQLserver, with Twilio API integration. Our front end is Twitter-Bootstrap using a namecheap domain on a github site. Team is Chris Rowe (UGA), David Benas (Georgia Tech), Stephanie Zheng (Emory), Ben Bolte (Emory). Note: Website is hosted locally, it may not be online when you access it.